Since exhausting a number of other avenues, the Belize Tourism Industry Association (BTIA) – which has vigorously opposed the construction of the proposed Norwegian Cruise Line’s (NCL) cruise tourism port at Harvest Caye – is scheduled to file an application for judicial review. The scheduled application follows an unsatisfactory response from the Attorney General’s Ministry to a letter that was written by the association to Chief Environmental Officer, Martin Alegria, detailing BTIA’s concerns regarding the project and warning of court action if the National Environmental Appraisal Committee (NEAC) did not rescind their approval of the Harvest Caye Cruise Port. At the end of last month, BTIA’s attorney, Senior Counsel Godfrey Smith, addressed the NEAC, requesting that they address a number of concerns pertaining to an Environmental Impact Assessment (EIA) granted to Norwegian Cruise Line for the Harvest Caye tourism development project, and asserting that NEAC had failed to follow procedure in approving the EIA. This Monday, however, a response came from Nigel Hawke, a representative of the Attorney General’s Ministry, who wrote on behalf of the Department of the Environment (DOE), stating that the necessary procedures were followed and that the DOE sees nothing erroneous with the approval of the project. That has prompted the BTIA to act on their pledge to challenge the environmental appraisal of the $50 million tourism project in the Supreme Court, and today, the president of the BTIA, Herbert Haylock, told Amandala that the issues surrounding the project need to be properly examined before the relevant endorsements are issued, hence the need to initiate litigation against the DOE. That information, according to the BTIA, does not provide an adequate response to the long list of deficiencies and blunders in the EIA that it has pinpointed, in addition to “the great haste and secrecy with which the matter was approved,” which, Haylock said should raise eyebrows, especially when considering that certain aspects of the assessment failed to comply with standard regulations. Haylock stated: “In regards to the letter that we have received, we are not satisfied that it has answered the concerns that we put forward initially in our request to the DOE. We have looked at the information that they have sent us and based on that, we have directed our legal counsel to proceed in the course of action that we have outlined to the DOE that we would proceed with, which is the judicial review. Notwithstanding the public hearing which was held in Independence on January 23 of this year, which provoked a ton of questions from concerned villagers and environmentalists, and not many concrete answers from those associated with the project, Haylock maintains that there was not substantive consultation on the concerns. “We do not feel that the consultation was substantive enough to have allowed for the proper ventilation and discussion on the issues, and those who may have been in the consultation can recall that there were substantive questions and issues raised in that session. We are seeking the provision of the hearing where we see that it would allow for a more effective dialogue on the issue, or issues, I would say, because there are multiple concerns that came out at that consultation and that we have sighted in relation to what has been provided in respect of the EIA, and in relation to what we understand was an addendum as well [which was] provided subsequent to the consultation”, Haylock explained. 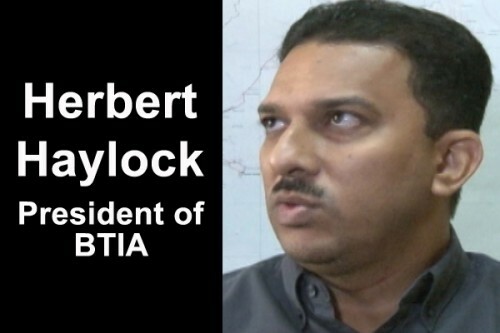 BTIA’s president stressed that the association is not against development or foreign investment, but he asserted that development tends to happen haphazardly in Belize nowadays, and developers do not often pay any mind to the medium and long term effects of their plan. While citing that the proposed development does not fit the stated goals of the National Sustainable Tourism Master Plan which was approved by Cabinet in mid-2011, the president of the BTIA also outlined the breakdown of how the profit sharing will be split and questioned the probability of long term job opportunities for local tour operators in the south. “Again, I really have to stress that our country needs investment and development, but if we are going to do these things, I think we need to ensure that we are doing these things the right way first of all, adhering to the plan and engaging relevant stakeholders who ought to be a part of the process. All parties, including Government, need to be at the table and we all need to be looking at these developments to determine what the country is ready to accept, and not necessarily the other way around, where you have somebody coming in and saying, ‘I want to do this, and in return for doing this I would like X, Y and Z and all other demands provided to me in order for me to make this development happen,’ “ Haylock went on to say. We tried to contact Chief Environmental Officer Martin Alegria, but we were informed that he will not be in office until Monday, April 28.